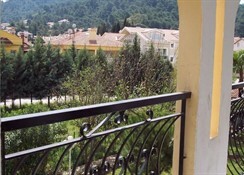 The Grand Villa Sol Apartments provide guests with a 3-star holiday located in Marmaris. The complex provides guests with access to a wide range of restaurants and bars as well as shops and an array of attractions. 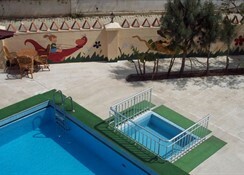 There is a swimming pool for guests to enjoy while the traditional rooms provide guests with a comfortable stay. All rooms are self-catering although there is an on-site a la carte restaurant for guest to try if they wish. On the beach, there are water sports and activities for all to enjoy while the Grand Villa Sol Apartments provide guests with the perfect chance to relax and unwind. 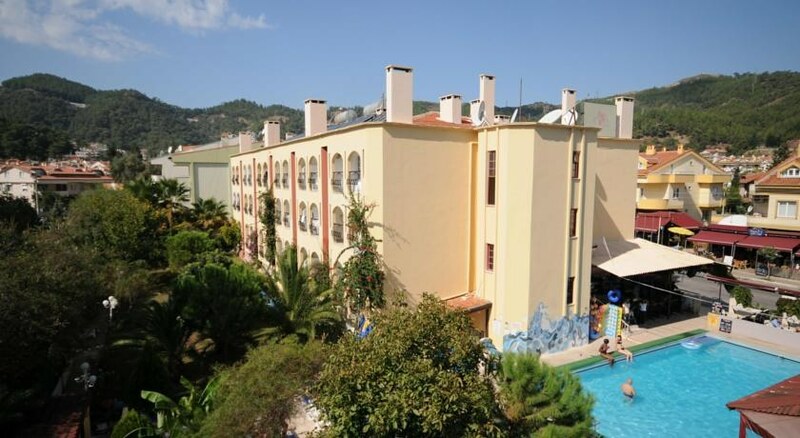 Located between Armutalan and Marmaris, the Grand Villa Sol Apartments are perfectly located for guests who love to explore the surrounding area and all that it has to offer. The centre of Marmaris is 2.5k away where they can wander along the promenade and enjoy the golden beaches. From shopping centres to water parks and water sports, the complex is perfectly located for all guests. The airport is 100km from the hotel. The complex consists of Studios and Apartments where guests can take advantage of the comfort and style that all offer. Spacious and traditionally designed, the rooms come with a kitchenette with a fridge and electric rings for those who want to cook in their room. 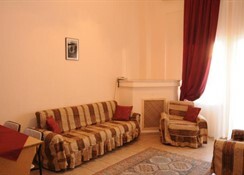 All apartments have a balcony, air conditioning, telephone, private bathroom with a hairdryer and a TV. The apartments are based on self-catering but guests can order breakfast and dinner from the a la carte menu at the on-site restaurant where they can sample Turkish, English and International dishes throughout the day. In Marmaris and the local area, there are many restaurants and bars for guests to try, all of which are perfect for families and couples. The outdoor pool and sun terrace provide guests with a great place to sunbathe before diving in the pool for a cooling dip. 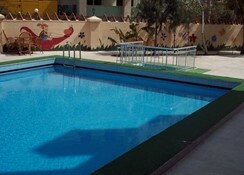 There is a children's pool as well as a PlayStation and pool table for all to enjoy while there is entertainment on offer including bingo, pool competitions, belly dancers and shows. In the area, guests can try their hand at water sports if they wish or they can head to the water park where they can ride the slides and have hours of fun.